Anyone who owns a Ford knows how well these vehicles were built. Their motto isn't 'Built Ford Tough' for nothing. These vehicles can keep on going for years to come, but that doesn't mean you don't need to invest in regular Ford service and repair in Petaluma, CA. over the course of time, your vehicle is going to end up needing repairs and maintenance work if you expect it to keep working like it should. Things like engines, Ford Eco-boost egnies, transmissions, radiators and more aren't meant to last forever. Engines and transmissions are two of the main components in your vehicle. If they aren't taken care of, you could find yourself stranded with no way to get where you need to go. That's why our team works so hard to make sure your vehicle gets the service it needs in a time that it needs it the most. When you stop in and see our ASE certified technicians, you can rest assured that we are going to spend time going through your vehicle and addressing any Ford service and repair in Petaluma, CA that you need. We will walk you through the specifics of what needs to be done and what the process entails. We want to make sure you have a solid understanding of everything going on with your vehicle to prevent any confusion along the way. At North Bay Automotive, we spend as much time as needed going through your vehicle to make sure it is safe and sound when you leave our shop. 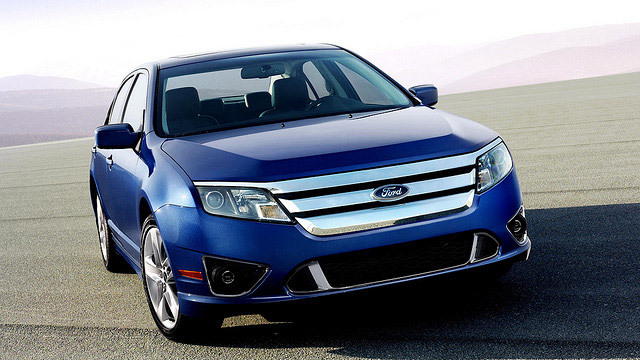 When it comes to Ford service and repair in Petaluma, CA, we have you covered. Stop in and see us or call and schedule your maintenance appointment today. Either way, we will make sure your needs are tended to in a timely and efficient manner. Let our 25+ years of experience work for you.